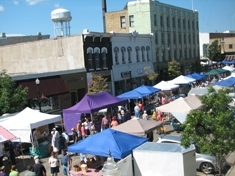 Shop in a wonderful open-air market in the heart of Downtown Beloit at State & Grand on Saturday morning. The market is a great place to mingle and visit with friends. Last year some of us visited with friends from the class of '61 who were in town for their 50th Reunion. What a great new library! It is very spacious and well designed to meet the needs of staff and all members of the community. We encourage you to stop in and see it for yourself. 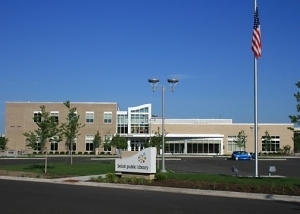 The library is located in what used to be the Penney's store in the Beloit Plaza. As most of you are aware, Beloit and the surrounding areas have undergone many, many changes through the years. Many of these changes have occurred in just the last 5 to 15 years. You will be impressed by much of what you will see. Click on the Visit Beloit image and the link will take you to Visitbeloit.com. 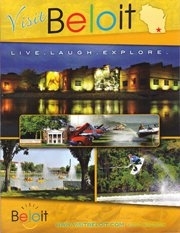 There you can learn more about "Things to See & Do", "Places to Stay & Shop", "Places to Eat" and much more. After close to 60 years, Tilley's is still open and their famous thin crust pizza is just as good as ever! Their new restaurant and bar was completed on schedule and is now open. The original building has been demolished and the parking lot expanded. 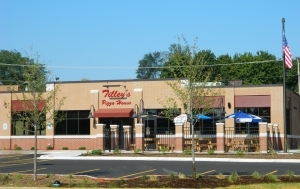 Tilley's could be another great place to gather for lunch on Saturday or dinner on Friday evening, have some of your favorite pizza again, and chat with old friends! Bagel's and More: Located on State St. this is a very popular spot for breakfast, especially on Saturday mornings when the Farmer's Market is open. Bushel & Peck's: Located next to Bagel's and More, B & P's is a unique "Market Store" with a restaurant and occasional live entertainment. The Rock: Located on the banks of Rock River, The Rock has a Sports Bar atmosphere. There is outdoor seating available in warmer weather with occasional live entertainment. They also have pontoon boats available for rental to cruise up and down Rock River. The Alibi, Bonnie's Bar & Grill: Owned and operated by a former classmate, Bonnie Bettin Kunde, The Alibi offers food, a bar and live entertainment. Outdoor seating is also available in the summertime. Could be another Friday evening option for meeting up with old friends.